FOR LEASE: Pines Crossings Parcel 1 is permit ready, including complete infrastructure and offsite work. Ideal for Bank, Medical, Retail, or Other Commercial Uses. 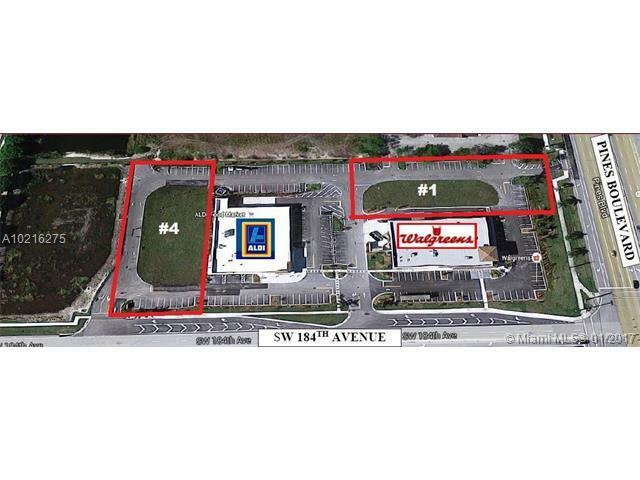 Join Aldi & Walgreens on the SW Corner of this major intersection of Pines Blvd. & 184th Ave. Chapel Trail Plaza with LA Fitness, Shoppes of Silver Lakes with Publix, and SilverLakes Center with Walmart Supercenter complete this intersection. It is surrounded by residential developments.